I cannot think of a more gracious, genteel, decorous and elegant clothing, from any culture in the World, from any society in the World, than the age-defying, historic Saree worn by Indian women. A woman’s body is made to be seen, appreciated, loved and marveled at, and what better way than to be graciously covered with the majesty and glory of a winding, sheeny clothing that exudes sheer beauty and nobility. 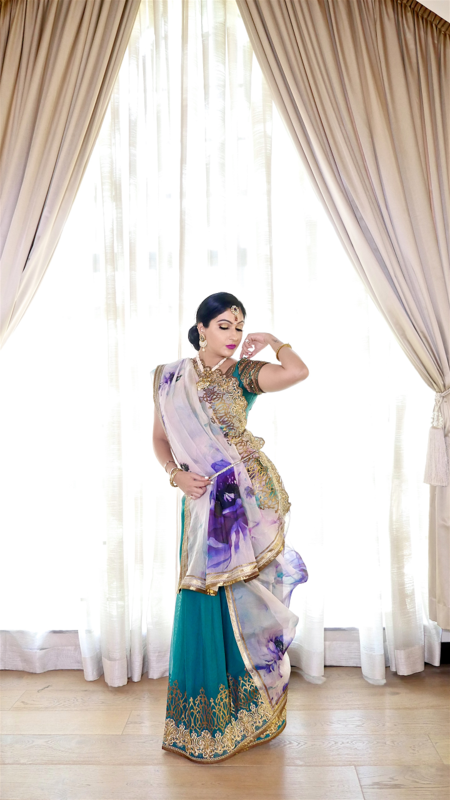 Like the Oceans across the World, that spread from the Australian Coasts to the Brazilian beaches, the Indian Sari drapes a woman with an unspeakable beauty and admirable gorgeousness leaving her looking like a wondrous work of Art. Worn Art. From head to toe, the decades-old clothing will leave you feeling like a reincarnated goddess, as the bejeweled attire flows over you with majesty and grace, head to toe, soft and pure. And from the back, it’s rare beauty leaves you glowing like an enchantress, as the perfect harmony between flawless skin and clothing sticks out with pride. Like the Kamadhenu, the Indian goddess of plenty and fertility, the Sari elevates you and exalts you … Edifies you and honors you. Just as you so proudly deserve. In it’s enduring glory and everlasting eminence, let this marvelous gown cover you with lushness and magnificence. Brilliance and jaw-dropping elegance. And because women are the crowning jewel on the face of Earth, this Jewel needs to shine bright and drip with color. It’s a jewel that needs to be seen and stand out. And the Sari never disappoints as it comes in all sizes, all fabrics, all colors. All enduring gloriousness. You’re a butterfly , Honey. And even Mariah Carey approves of this message. Sit pretty in your psychedelic Indian gown and let the butterfly in you fly through. Rest easy, let it all hang loose and let your colors shine bright. If not as bright as a diamond, at least, as this tempestuous noble garment.